The auditing process extends itself to the correctness and reliability of data in a systematic manner. It helps organize the unstructured data which involves emails, social media posts and conference call audio media files. Artificial Intelligence is the fabric that promises to be the evolving game changer for various industries and professions. Computing systems are the focal point, not because of their recognition for content but for recording of consumption pattern in terms of frequency and immediacy. Biometric technologies such as image recognition, fingerprint recognition, data mining and predictive analysis infiltrate daily part of our lives that help transform business operations and interaction exchange between internal and external customers. To kick off proceedings, AI is already being placed in areas involving driverless cars, home energy systems and investment portfolio management. Artificial Intelligence and Machine learning have stepped into every corporate mainframe to augment work efficiency and reduce errors. From virtual assistants to autonomous vehicles the relationship between auditors and Machine Learning have grown deeper. Cybersecurity had taken its peak with incidents such as the WannaCry ransomware attack that spread across the globe last year. The conspiracy to commit computer fraud and abuse continues to be of threat for billions due to the rise of cloud and mobile technologies. For example, a recent news shared states Google basing all their products on AI and talks of creating a new unit which is underway of being known as Google.ai. With every improvement in AI the competitive advantage is more open sourced and available to everyone and hence that proves to be a disadvantage for privacy of messages. Furthermore, given the rapid development and advancement of the IoT, the associated risks and controls are also changing and evolving rapidly. From WhatsApp’s deadly fake news problem in India to the rising banking transaction frauds, it has become critical that internal auditors pay attention to the practical application of AI in business and develop competencies that will enable the internal auditing profession to provide AI-related advisory and assurance services to organizations in all sectors and across all industries to address the growing data breaches. Internal Auditors are required to move out of mindset of auditing Information Technology General Computer Controls (ITGCC) and/or application controls only with set Risk and Control Matrices. The earlier data analytical tools like ACL do provide wide coverage for entire population but those are detective procedures. In today’s fast-growing businesses with millions of data getting generated, preventive measure by using AI can be boon to management. By making it possible for auditors to work better and smarter, AI will help them to optimize their time, enabling them to use human judgment to analyse a broader and deeper set of data and documents sometime trigging error or fraud much in real time. Accumulating real-time data using technology such as machine learning can help auditors interrogate data and empower them to examine unusual or unexpected items, surfacing risks that subsequently can be addressed and resolved. In a more advanced setting transaction are provided to the AI chatbots which internally gets to identify what “normal transactions” looks like. The importance of auditors in this process completely switches from performance of the audit to the designing of the audit, similarly could be compared to the process on how Netflix uses its data points, ratings and consumption pattern of the user to direct him to another show of the similar genre, type and actor. There is a dire need to better the questions for CFOs, Auditing Committee and company boards to streamline the relevant information on yearly reviews based on firm’s performance. We are now witnessing a changing trend of conducting business that has led to accountability issues for a high probability of fraud risk. By creating sophisticated machine learning-based models, auditors can now improve fraud detection, in some cases on real time basis. The auditing process extends itself to the correctness and reliability of data in a systematic manner. It helps organize the unstructured data which involves emails, social media posts and conference call audio media files. Even when the humans make the flaw of approving legal jargons the AI analyses the entire portfolio picking out volumes of information about property value and borrower’s creditworthiness. The auditing department is now excelling in exponential work as compared to average performance ages ago. There is lot of actions needed at Professional skill development as well where Institute needs to change the way. To meet the challenges, internal auditors should leverage The IIA’s Artificial Intelligence Framework – Global Prospective. 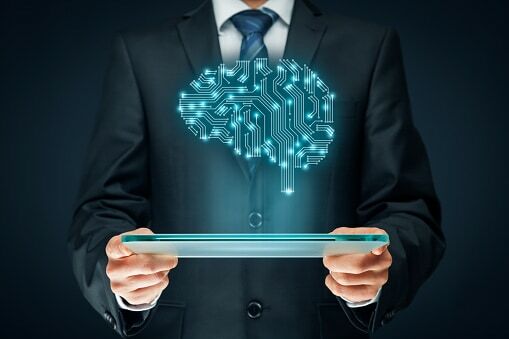 Internal Audit should be prepared to advice Board, Coordinate with First Line and Second Line of Defense and provide reasonable assurance on AI where organizations are taking business decisions basis machine learnings & leverage AI tools for conducting the audits by providing real time reports. Auditing in the Age of Artificial Intelligence 0 out of 5 based on 0 ratings. 0 user reviews.